Find free creative Powerpoint templates for beautiful presentations. The following creative Powerpoint slide designs have unique layouts that will make your presentation stand out. Just because your presentation is creative, does not mean that it is not professional. Each Powerpoint Template is designed to intrigue the audience's attention to your presentation with colors or patterns without distracting them. Don't give a boring presentation that will have your audience daydreaming, but attract your audience using fun and one-of-a-kind creative PPT Template to convey your message. 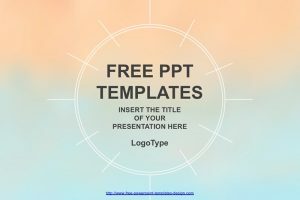 The Colbalt Free PowerPoint Template is great for any innovator or entrepreneurs to display their work or new ideas. It uses light bulbs to display new ideas and innovation. 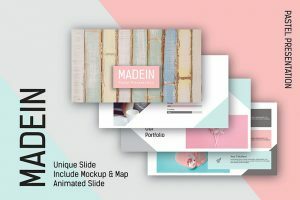 Chloe Free PowerPoint Template is a template with a chevron theme with pink, blue and white colors. This presentation is great for any casual or feminine presentation. 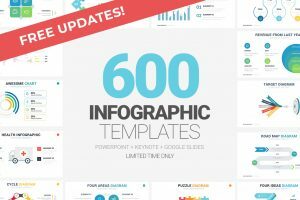 600+ Infographics for Powerpoint you can use to create stunning presentations. All infographics included in this wonderful package are fully editable in Powerpoint, Keynote and Google Slides. The Ember Free PowerPoint Template is a colorful presentation that is perfect for any teacher or person looking to add creativity to their designed presentation. The Triangle PowerPoint template uses the trend of geometric shapes and simplicity to tell your story. With 23 slides, this template is great for any presentation. 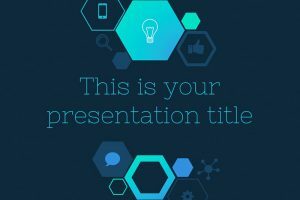 This presentation template uses colors such as aquamarine, turquoise, sky blue, and light gray which stands out against the dark blue background making all the information presented stand out beautifully. One of the most known ways to express yourself is through art. 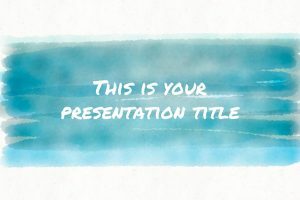 Watercolor free Powerpoint template is a unique and creative way to engage your audience visually. Are you looking for a creative, lookbook designed presentation? 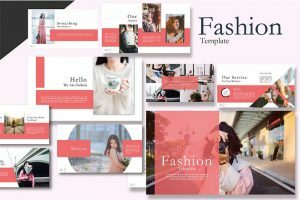 Then the Notch Fashion Free Powerpoint Template is the perfect presentation template to make your information stand out. 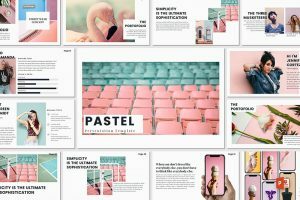 Pastel Feminine Free Powerpoint Template is a colorful presentation that is simple, clean, and organized to make any information stand out. Pink pastel Free Powerpoint Template is a modern presentation template that is beautifully designed to make any information stand out. This template is perfect for any presentation. 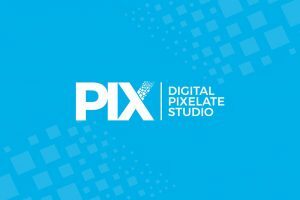 The first slide is important because it causes great first impressions, and the last slide is also important because it is the one that leaves a lasting impression towards the audience. So, use the Thank You Slide Free Powerpoint Template to find the perfect last slide. 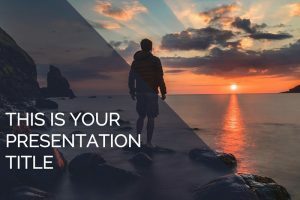 If you are looking for an inspirational presentation template that is photo heavy and will tell a story with every slide you present, then the perfect presentation template is Katharine Free Powerpoint Template. 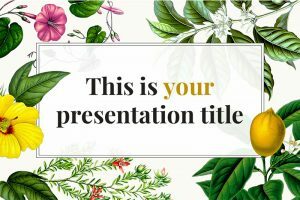 If you are looking for a presentation template that is out of the box and will help your information stand out, then you should use this free Floral Powerpoint Template. This beautiful presentation has a creative floral design that will capture your audience’s attention with its beautiful floral design. Ganymede is the name used in Greek Mythology, of a Trojan boy who became a cupbearer to the gods. In addition, this presentation template is also the name of the brightest and largest satellite of Jupiter. 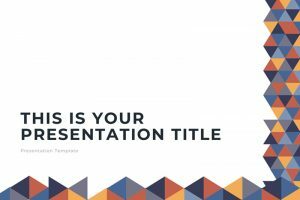 Ganymede Free Powerpoint Template is a creative presentation template that will make your information stand out. A presentation with a modern and trendy vibe. 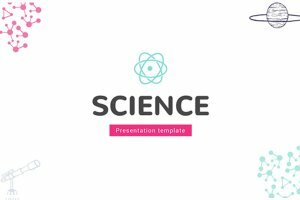 This template is excellent for a school-related or any other type of presentations that involve science. With stylish colors, your Powerpoint is sure to make an excellent impression on your audience. 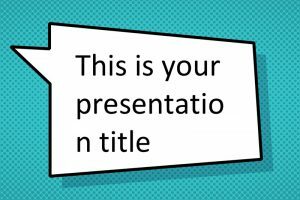 If you are looking for a creative and unique comic book Powerpoint template, then you should use the Jachimo template. This presentation is inspired by a comic book design that won’t easily adapt to any brand but can be used for creative and fun presentations. Ideal for Superhero projects. Vicentio Free Powerpoint Template has a beautiful and gradient color scheme that will capture your audience’s attention, earning you their full focus and attention. This presentation uses a gradient pattern left to right going from warm to cool colors. 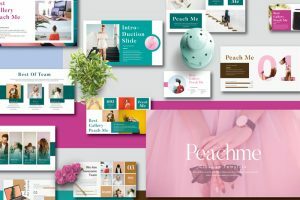 If you are looking for a presentation template that has a feminine look and will present your information in a clean, modern, and unique look, then you should use Peachme Creative Free Powerpoint Template. 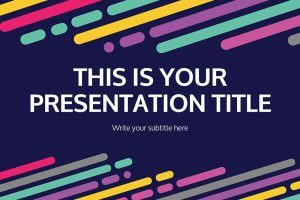 If you are looking for a colorful and abstract presentation template, then you should use the Dumaine Free Powerpoint Template. All the elements on the slides are fully editable so you can organize your information how you feel the audience will get a better understanding. 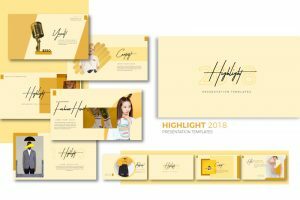 The Highlight Free Powerpoint Template is perfect because it will make your information stand out while the colors visually attract the audience’s attention. Not only will your audience be impressed but you will have their full attention, making this presentation successful. Jourdain Free Powerpoint Template has a design with an elegant and simple design. This presentation uses a lively red background to make your information stand out. Colors are always a great way to make your information stand out, this template is clean, organized, and is multipurpose, that will fit most topics. 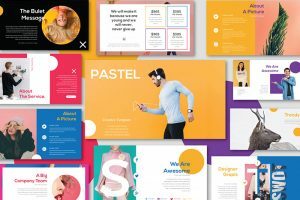 Cadwal Free Powerpoint Template uses a colorful palette that will match any theme or topic. 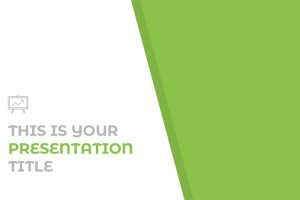 If you are looking for a creative, clean, and fully customizable presentation template that will make your information standout, then Rian is the powerpoint template you want to use to wow your audience. Timon Free Powerpoint Template uses bold and vivid slides to make your information stand out. Colors are a great way to capture the audience’s attention, not only are the colors great attention grabbers but they also help engage that audience’s attention to the information being presented. 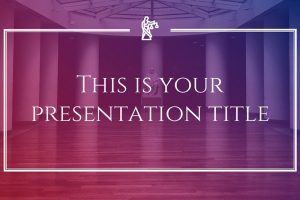 The perfect presentation template to use when you want to inspire an audience and give an impressive presentation that will keep your audience focused. Miranda Free Powerpoint Template uses a photographic background that is perfect for any presentation template. 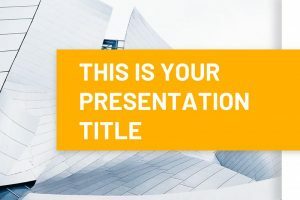 If you are looking for a colorful presentation template that is clean and professional, then use the Colm Free Powerpoint Template. 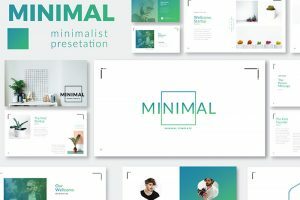 This presentation template is great because this template is clean, organized, and it is eye-catching with the beautiful colors that are used. For a fresh, positive, and optimistic powerpoint presentation use the Olivia Free Powerpoint Template. 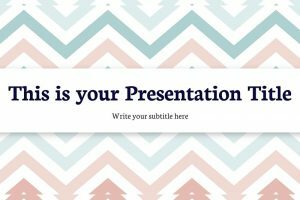 This presentation template is has everything you will need to give an informative presentation to your audience. 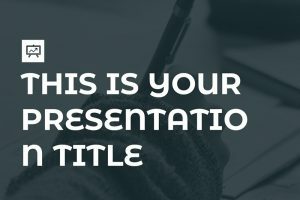 If you are looking for an inspirational presentation template, then the perfect presentation template for you to use would be the Ragonize Free Powerpoint Template. This template is composed of 23 unique slides that are fully editable. 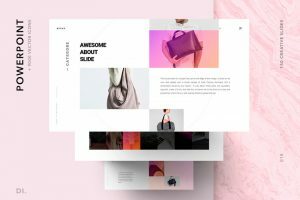 If you are looking for a creative presentation template that is both modern and professional, then congratulations, you just found it. 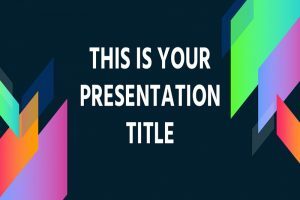 Lonzo Free Powerpoint Template is a colorful and creative presentation template, that has a professional look for any business or personal uses. Aumerle is a fun and playful presentation template that is full of bright and beautiful colors that will capture your audience’s attention. 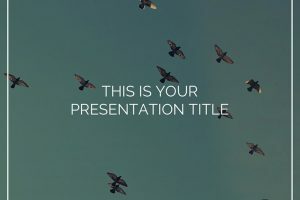 This presentation template is composed of 22 unique slides that are organized, clean, and well-designed. The Basset Free Presentation Template is a minimal and modern template that will make your information stand out and can be used for any type of presentation. 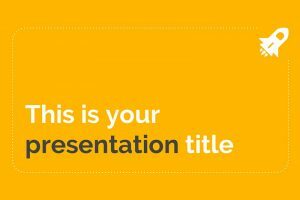 Because of its yellow color, this presentation template is optimistic, fresh, and enlightening. 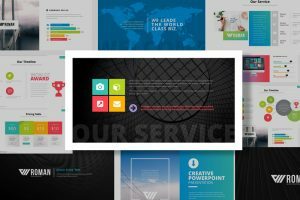 For a professional and multipurpose presentation template, use the Wart Free Powerpoint Template. 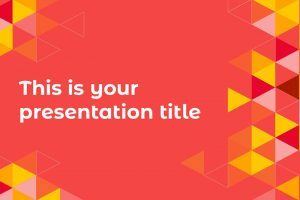 This presentation template uses a combination of warm colors such as red, orange, yellow, and pink. Bronx Free Powerpoint Template is a creative and visually appealing presentation template. Your audience will give you their undivided attention while keeping them focused on the presentation. 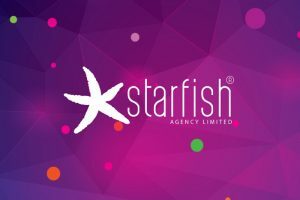 If you are looking for a colorful presentation that is fully editable and can be used to impress an audience, then use the Starfish Free Presentation Template. 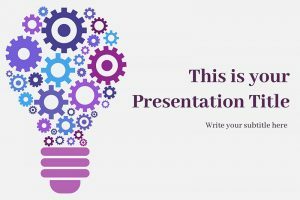 This presentation template has everything you will need in your presentation so that you can give an informative and successful presentation to your audience. 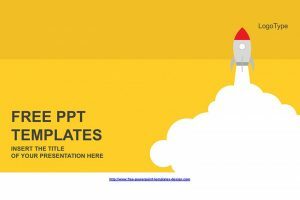 If you are looking for a presentation that is associated with optimism, intellect, and energy, then the perfect presentation template for you to use would be the Arley Free Powerpoint Template. 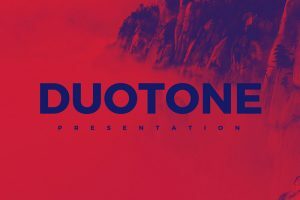 For a unique and awesome presentation use the Duotone Free Powerpoint Template. Duotone is defined as using halftone illustrations with two different colors, in this case blue and red. This helps bring out tones and highlights in an image. 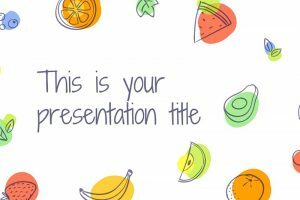 For a fun, colorful, unique, and modern presentation, the perfect presentation for you to use would be the Pastel Powerpoint Template. Because, of the colors used throughout the template, this eye catching presentation will keep you audience focused. 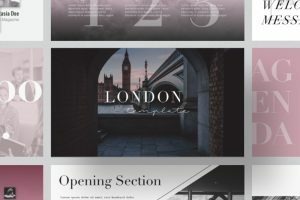 London Minimal Powerpoint Template is a creative, chic, and modern template. There are more than 50 unique and stylish slides that can wow any audience. Surprisingly, this template has a lot going on, yet everything is organized and elegant. There are more than 230 icons that could be used, plus 44 maps. 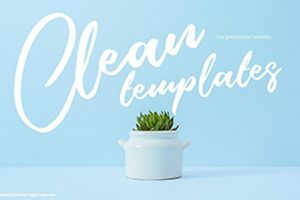 Are you looking for a simple, yet creative presentation template that will just wow your audience? 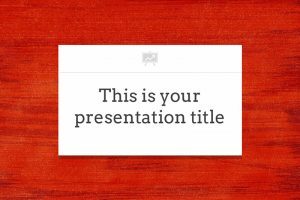 Then the perfect presentation for you to use is the Mines Free Powerpoint Template. 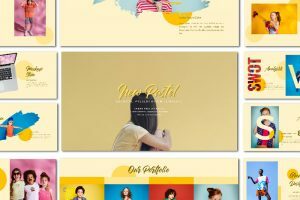 Because of its unique and simple layout and design, this presentation gives a professional look. If you are, then we have found the perfect Powerpoint presentation for you to use. 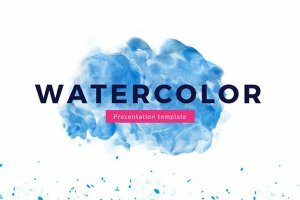 Pastel Watercolor Painted is a free Powerpoint template that is designed to relieve you with the stress of having to create a presentation on top of having to collect all the information and data needed to inform the audience about. 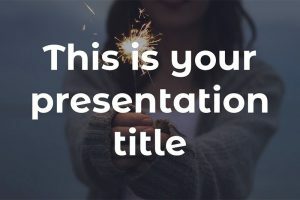 The Rocket Launched Powerpoint Template has 36 slide layout to help you organize and create your presentation in a bright and fun way that will capture your audience’s attention. With its yellow background, and the rocket launch that is high-quality. Do you know what a rocket symbolizes? Download free Powerpoint templates to present beautiful presentations. Impress your audience using free templates that will blow minds. Create modern presentations for your business or educational projects. Share with coworkers and friends.